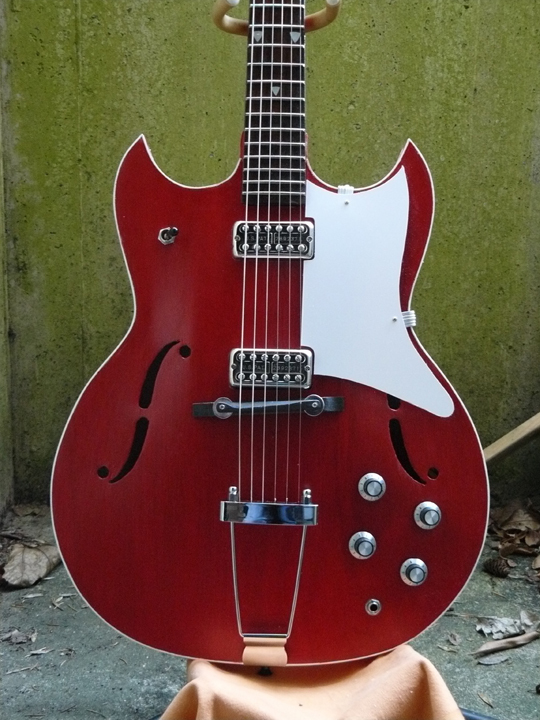 This is based on the Kay Red Devil guitars. After numerous failed attempts at trying to own an original I decided it was time to make my own. I obtained the tracing from a friend and went to work. 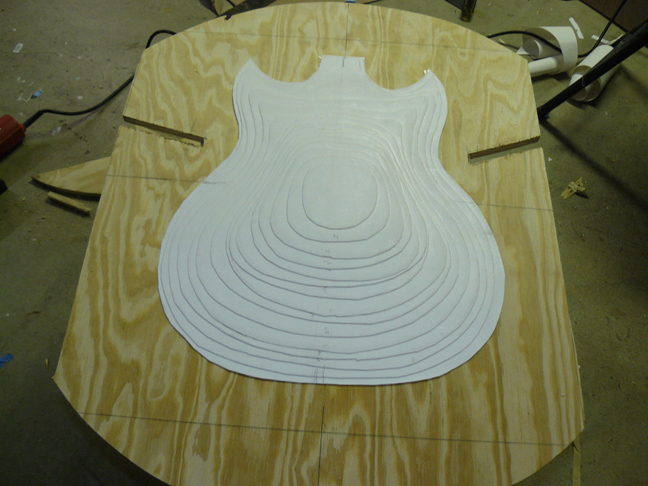 Body is composed of plywood sides and a mahogany top with veneer edging. I obtained all the body materials for this at my local wood shop. 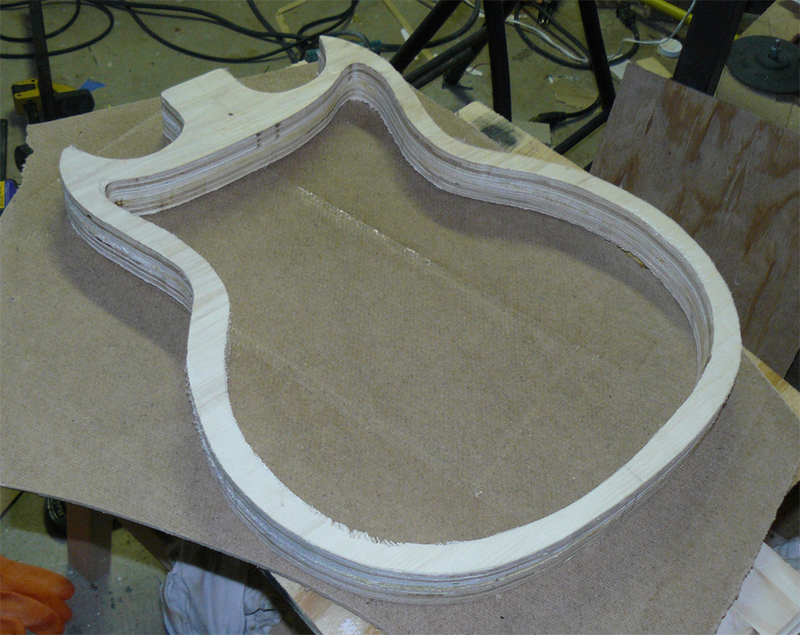 Unlike a conventional vacuum press used to form the body, I approached it by soaking the plywood in hot water and drying it over a form. 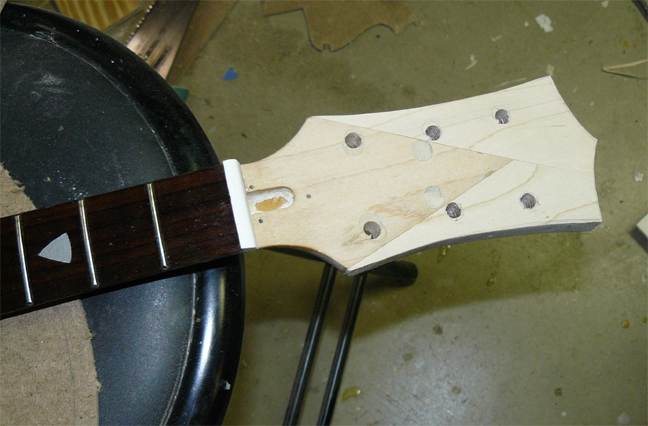 The headstock on the neck was also trimmed down, built up and veneered. I opted for some Gretsch Filtertrons. A great many thanks to those at the Reranch forum for there help and knowledge as this was a first time hollowbody build for me. 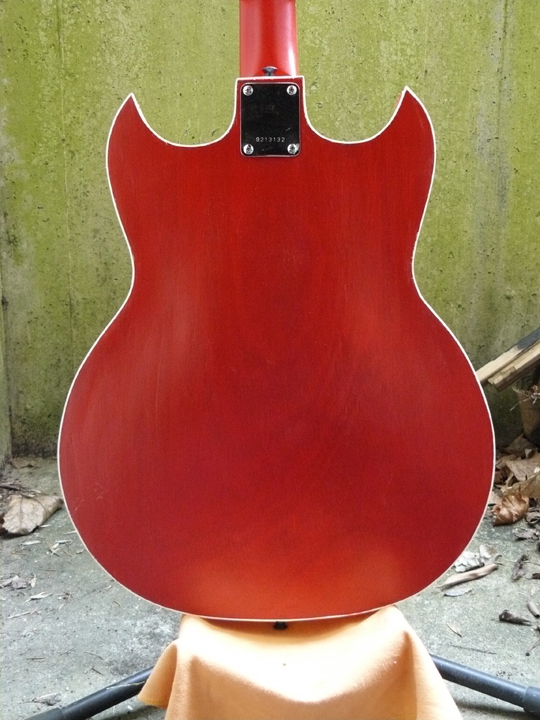 Finish is a rustoleum red with a satin lacquer varnish, grain is filled with an epoxy. 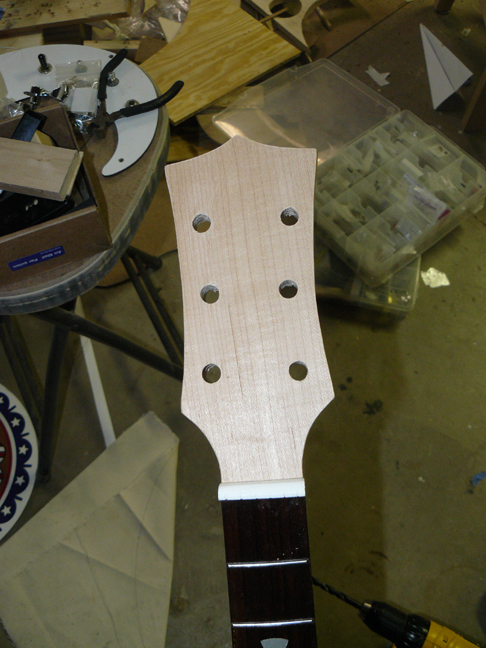 Headstock trimmed with maple sides added with dowels. 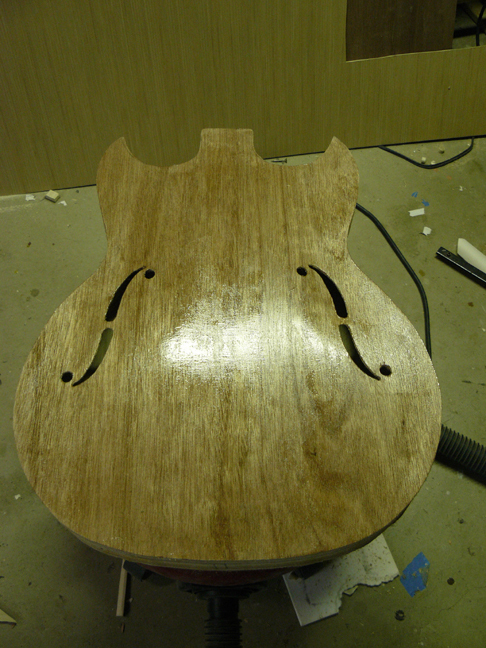 trimmed and tuner holes drilled out. 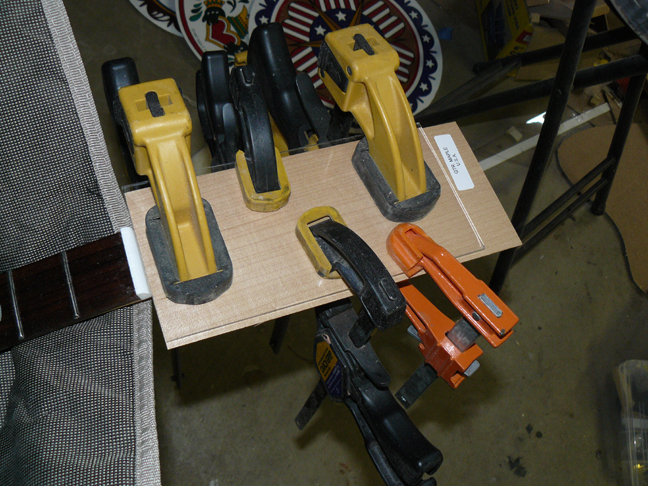 veneer applied with titebond glue and clamped between a sheet of plexiglass. the form. Multiple layers of 4 ply paper card stock glued together and coated with an acrylic for waterproofing. 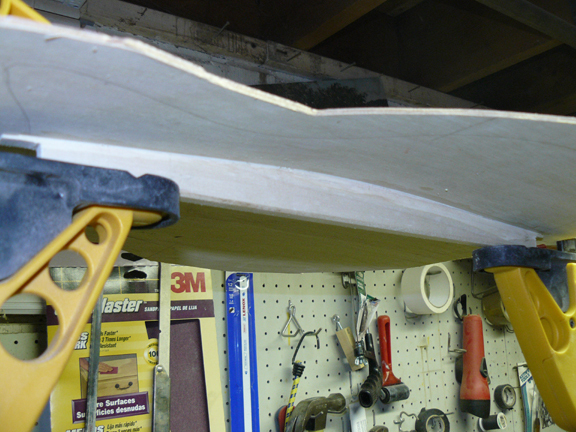 plywood lined up and checked before soaking. 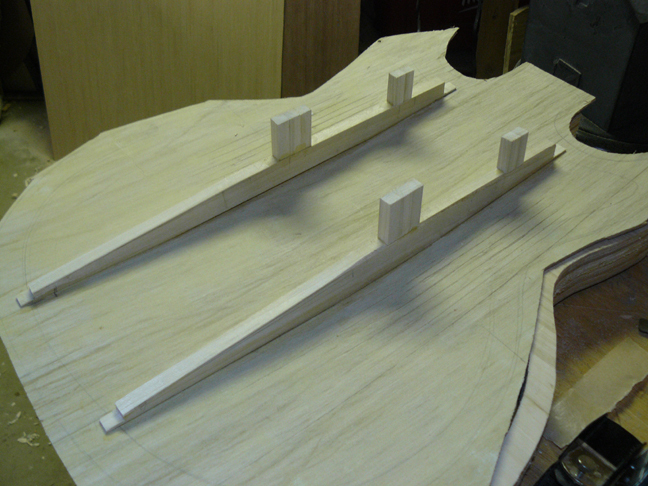 Notches cut in side for clamp access. 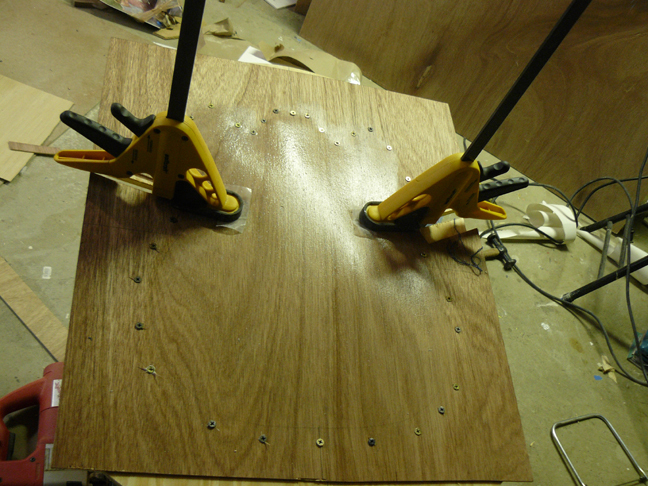 plywood soaked, clamped and excess screwed down. 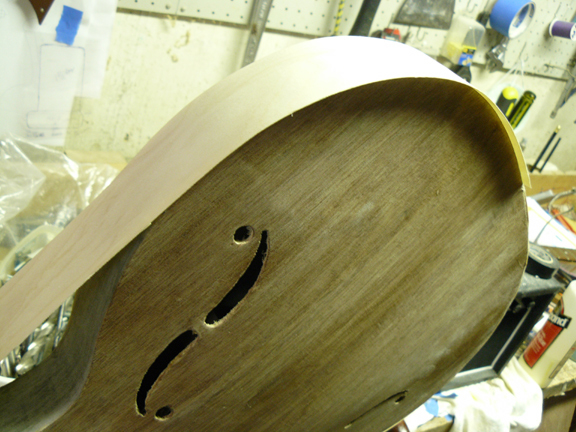 another view of the inside once the back has been glued, note the excess on the sides. This will be trimmed. 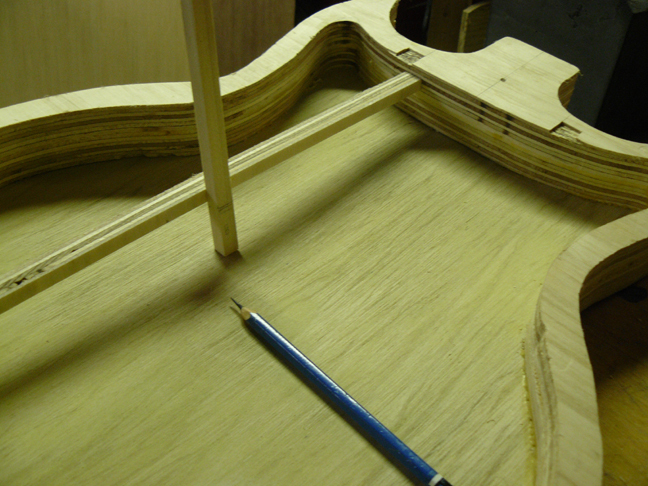 after the top has been formed and dried the same way, measurements are taken for bracing height and length. 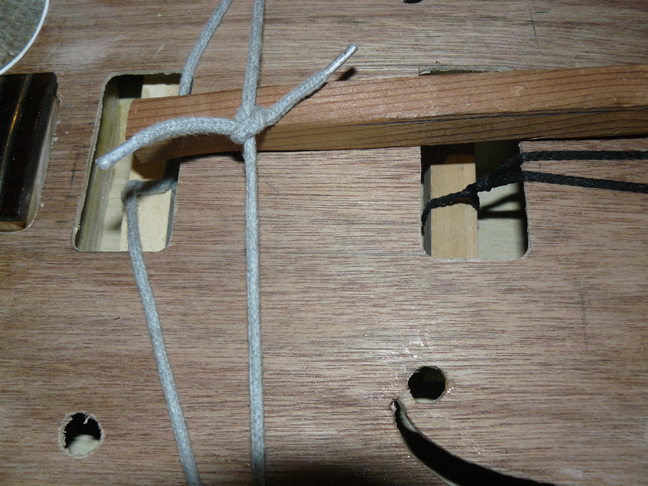 brace traced to obtain contour of inside of curve. Wood is poplar. 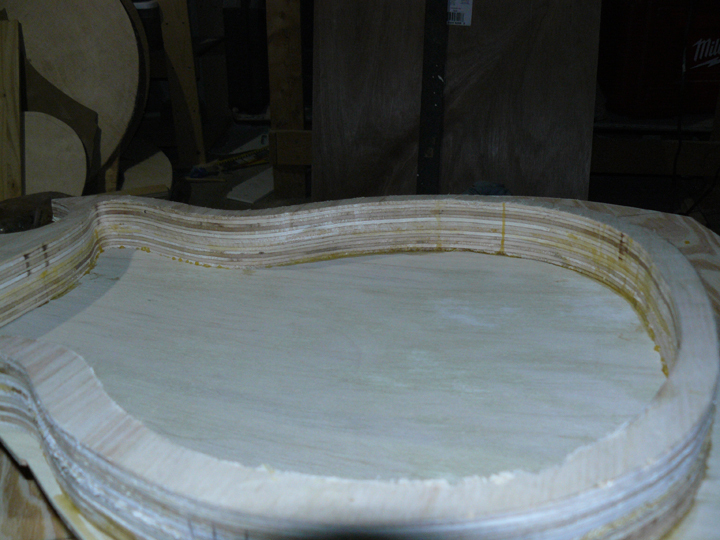 braces cut and glued to the top. 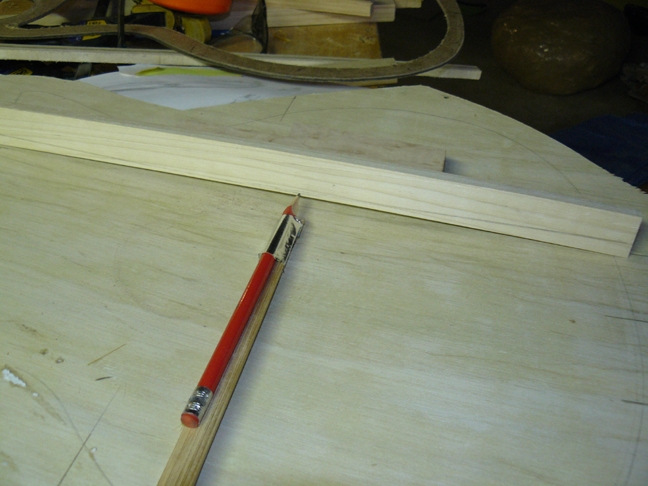 Note the notches on the ends, these will rest in the notches cut into the plywood. another view of the trusses as they will look on the inside of the top. sound posts added. These are placed near the neck and bridge location. 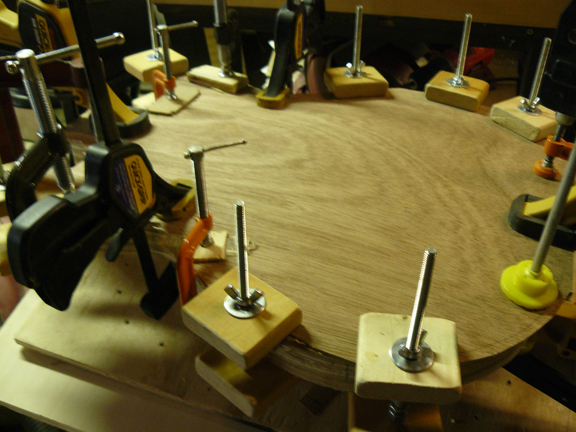 top glued onto plywood sides. 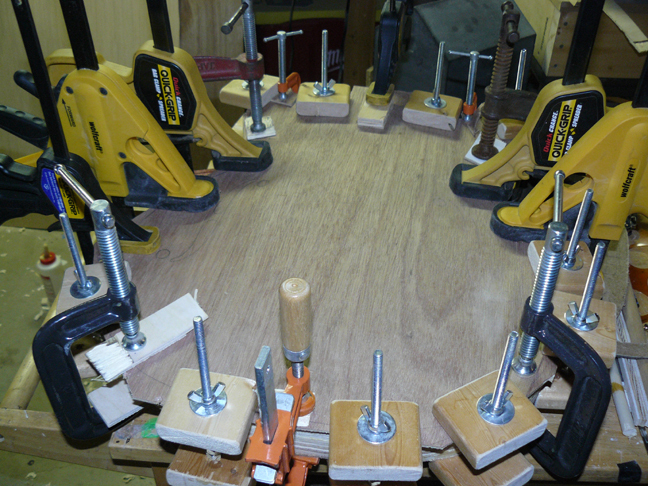 excess edges trimmed, f holes cut and first layer of epoxy applied with a credit card. 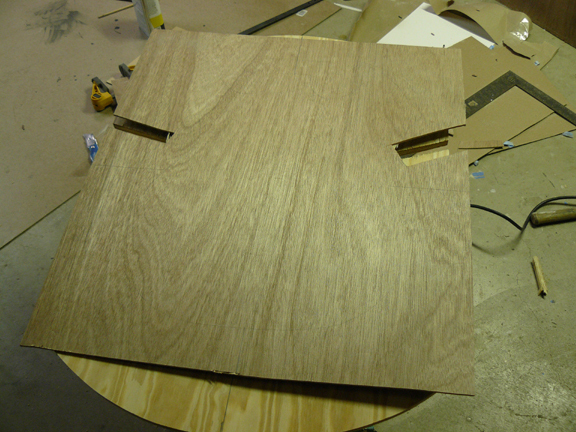 plywood edges filled with a two part epoxy before veneer added. 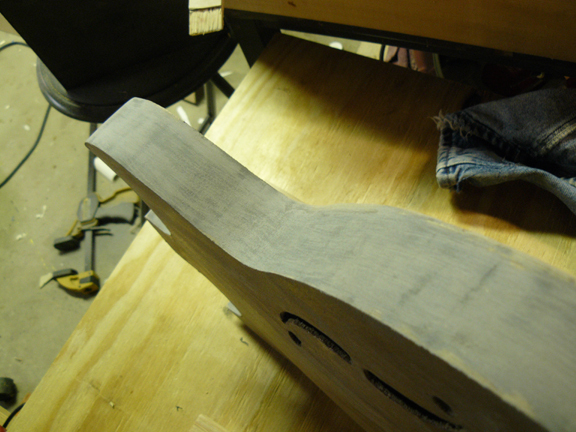 veneer edging applied using a heat gun and persuaded around the entire guitar. pickup holes cut and braces added for the filtertrons to be screwed into. Braces were pulled up and glued underneath by twisting a rope. 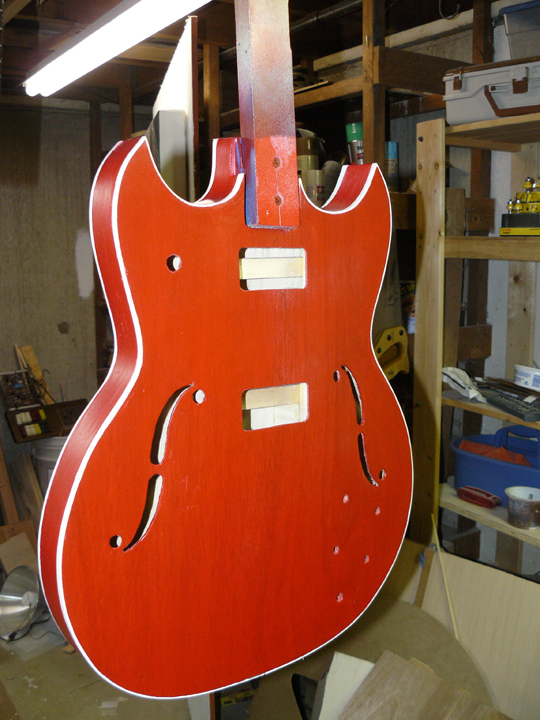 binding applied and body painted.